Federal agencies will start furloughing additional employees as soon as next week, with the number of employees being sent home without the promise of back pay likely to continue to climb the longer the partial government shutdown drags on. About 328,000 federal employees are currently on furlough, according to the most recent agency plans, which amounts to only about 38 percent of the employees at the agencies affected by the lapse in appropriations. The Office of Management and Budget, as it did for previous shutdowns this year, has given unusual guidance instructing agencies to use leftover funding as available to minimize the shutdown’s impact. As lawmakers and the White House appear to remain at a standstill and the shutdown likely continue into next week, those carry-over funds will start to dry up and agencies will have to send more workers home. 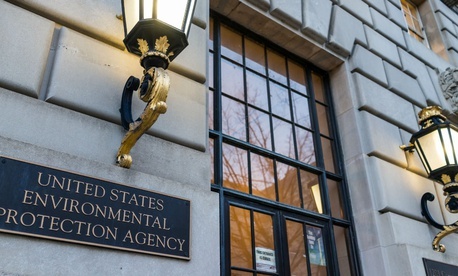 The Environmental Protection Agency, for example, has yet to furlough any employees, except for a few hundred workers in the inspector general’s office. In an email to staff on Thursday, however, acting Administrator Andrew Wheeler said the agency would be forced to commence its normal shutdown procedures at midnight if no deal is reached on Friday. In previous shutdowns, EPA furloughed about 95 percent of its workforce, or about 13,000 employees. "EPA has sufficient carryover funds to continue to operate for the remainder of this week," Wheeler wrote. "However, in the event an appropriation is not passed by midnight Friday, December 28th, EPA will initiate orderly shutdown procedures." The State Department will also likely furlough additional employees if the shutdown continues for an extended period of time. During the 16-day 2013 shutdown, it managed to furlough only a few hundred of its 70,000 employees. It acknowledged that state of affairs could not continue indefinitely. More employees could also eventually receive furlough notices: “If available balances in multi-year and no-year appropriations, trust funds, other permanent appropriations, fees, and the Working Capital Fund become insufficient or are exhausted during the lapse, then the shutdown plan detailed in Chapter 2 will become operative,” the department wrote. The Agriculture Department is another likely candidate to expand the number of employees it sends home. Currently, just 38 percent of its workforce is on furlough, down from its previous plan to send home two-thirds of its employees. Of those currently working, nearly 60 percent are allowed to do so because their salaries are “financed from available funds.” The Natural Resources Conservation Service, for example, has excepted 100 percent of its more than 9,000 employees, nearly all of whom are working because funds are still available. “However, during a shutdown, NRCS will continue to assess its available resources and may adjust its staffing situation” as the shutdown continues, the agency wrote in its plan. Federal shutdown guidelines also provide for employees otherwise facing furloughs to come in, typically only for a few hours on the first day of a shutdown, to carry out “orderly shutdown procedures.” That work is typically logistical, such as locking cabinets, setting up voicemail messages and automatic out-of-office email responses. For some, however, the work is more complicated, and agencies have set aside an entire week to complete it. That will lead to additional furloughs starting on Monday. There is precedent for employees’ furlough statuses changing, though the change typically goes in the opposite direction. Three days after the government shutdown in 1995, the Social Security Administration brought back 50,000 employees from furlough to deal with a backlog of benefits the agency lacked the personnel to deliver. In the run up to the shutdown, SSA had not properly accounted for its legal obligation to distribute earned government benefits, resulting in the furloughs of employees needed to carry out essential government functions. The Federal Emergency Management Agency brought back some employees during the 2013 shutdown in anticipation of Tropical Storm Karen. The Defense Department that year also recalled most of the 400,000 civilian employees it originally furloughed, due to a law Congress passed on the eve of the shutdown. Most impacted agencies began last week informally notifying their staffers of their work status in the event of a lapse in appropriations, prior to the shutdown actually taking place. The affected agencies closed down last Friday at midnight after lawmakers failed to reach a spending deal, but most of the 330,000 federal workers currently on furlough did not receive their formal notices until Wednesday when agencies were set to reopen after Christmas. Employees already sent home are concerned about the work not getting done. Furloughed workers at USDA’s Economic Research Service, who spoke to Government Executive on condition of anonymity, are worried about key reports not being published and the inability to attend a long-in-the-works conference. “If this shutdown continues into next week,” one said, the meetings for producing the World Agricultural Supply and Demand Estimates monthly report that affects commodities markets won’t take place. “If the shutdown continues further, then for the second time ever, there could be no report.” (The last time was October 2013.) Missed meetings also deprive the staff of learning more about Agriculture Secretary Sonny Perdue’s plans to move ERS outside of Washington, the staffer said.